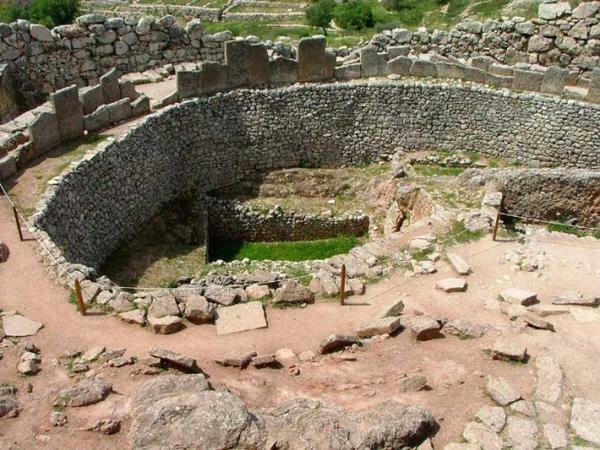 Grave Circle A: It is inside the citadel walls, to the southeast and very close to the main entrance. 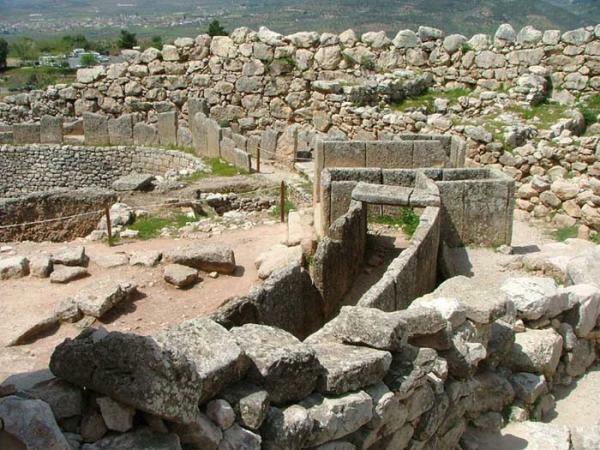 It served as the royal graveyard of Mycenaean kings during the 16th century BC. Valuable funeral gifts have been found here, together with devotional vessels, jewels, women’s accessories, weapons of exquisite art, as well as numerous golden masks indicating influence from the Egyptian civilization. Schliemann himself identified one of these masks as belonging to Agamemnon, but it was later proved that the mask belonged to a king who had lived three centuries before the alleged era of the legendary Agamemnon. It was these tombs that most of the golden funeral gifts displayed today at the Archaeological Museum of Athens came from.